"Red Planet Graphics gives us the confidence we need to know that even when they are coordinating several projects simultaneously, each and every one will be a quality product, and delivered on time. 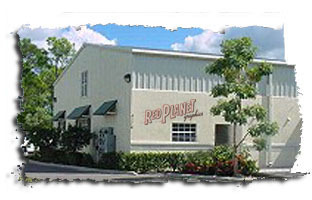 Everyone at Red Planet Graphics always come through for us"
Red Planet Graphics is a creative design and printing organization founded with a passion for ink, paper and creative communication through excellence in printing and an enthusiasm to work with companies that are equally passionate. Our work includes print campaigns, banners and posters, direct mail, corporate identity programs, outdoor programs and printing capabilities of every venue. We are always driven by our creative vision, our belief in teamwork, and our goal to make clients succeed. We believe that great design is the sum of solid clients, strong talents and shared commitment to a clear mission. Your needs determine our structure and our schedule. Our capabilities are geared specifically to the requirements of the job at hand. As a unique production management service, we bring together the finest producers in the country with a wide range of capabilities to fulfill all of your printing and graphic requirements. Because we are not limited to what's under our roof, we always have the right equipment ready to handle your job.